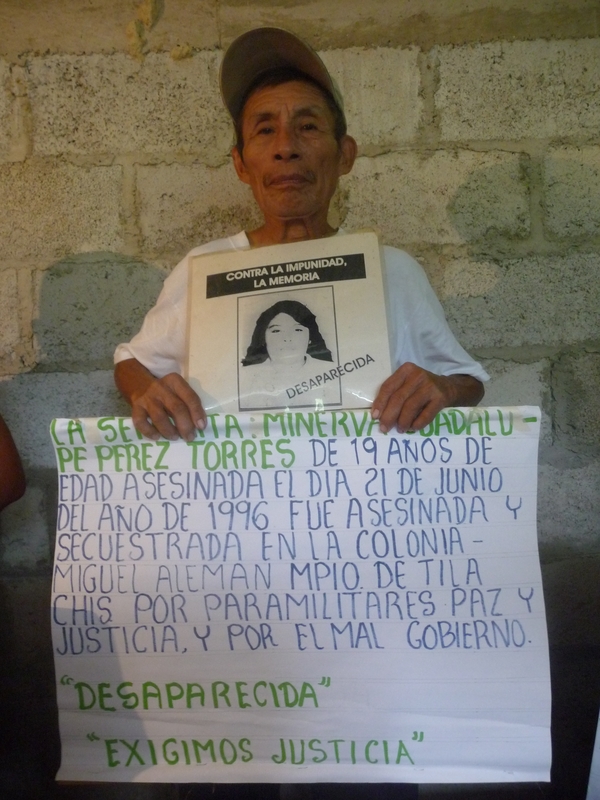 On 29 August 2010, in the community of Masojá Shucjá, municipality of Tila, in the Northern Zone of Chiapas, there was held a commemoration of the victims of conflict during the years 1995 and 1996–some from Masojá Shucjá, others from neighboring communities. Some of the victims were buried, while others continue disappeared to date. People from several communities of the municipality came to Masojá Shucjá to join the residents of the community in this act of memory. 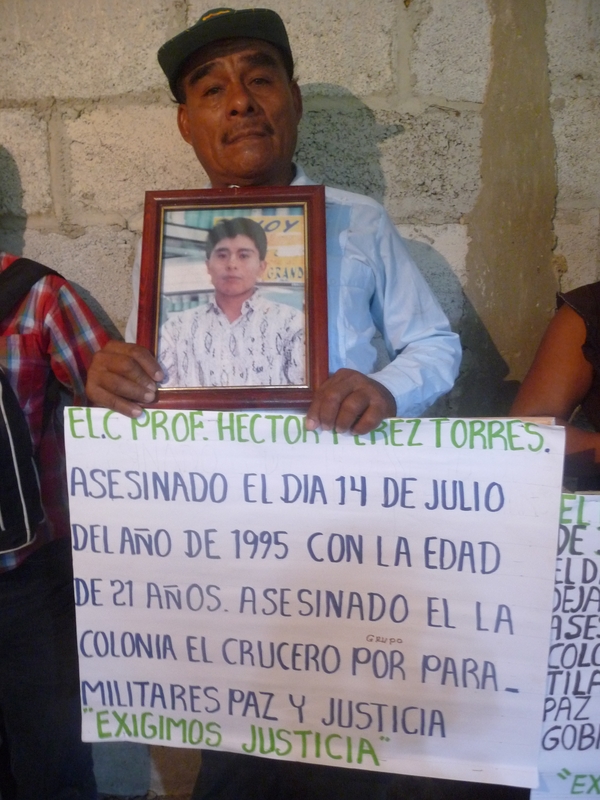 After a celebration held in the church, all joined a rosary-prayer in the pantheon where, together with members of their family, lies Mateo Hernández López, ambushed and killed by Paz y Justicia while en route to his milpa in 1996. Due to the recent rains and landslides experienced in recent days, not all the invited reached the community. 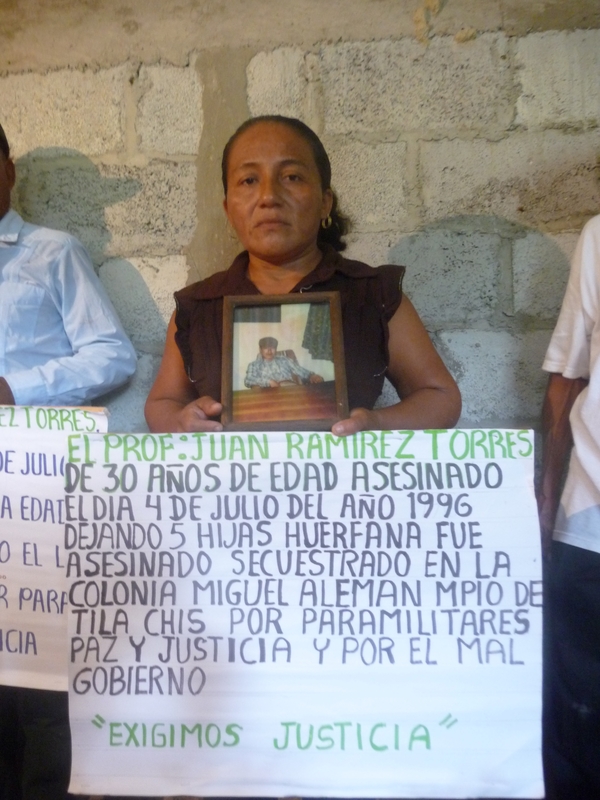 The absence of the Fray Bartolomé de Las Casas Center for Human Rights (CDHFBC) in particular was lamented, given that it is the CDHFBC that is taking the case before the Inter-American Court on Human Rights and that accompanies the community in its efforts of historical memory. All the children of the community’s primary school attended the event, so that they come to know what it is that happened, and that it continues in impunity. There it was explained that, although justice does not come from above, memory is a means by which to make justice from below. On this occasion, not only was justice demanded for the victims of the conflict and their relatives, but also for the losses of possessions that occurred during that time. 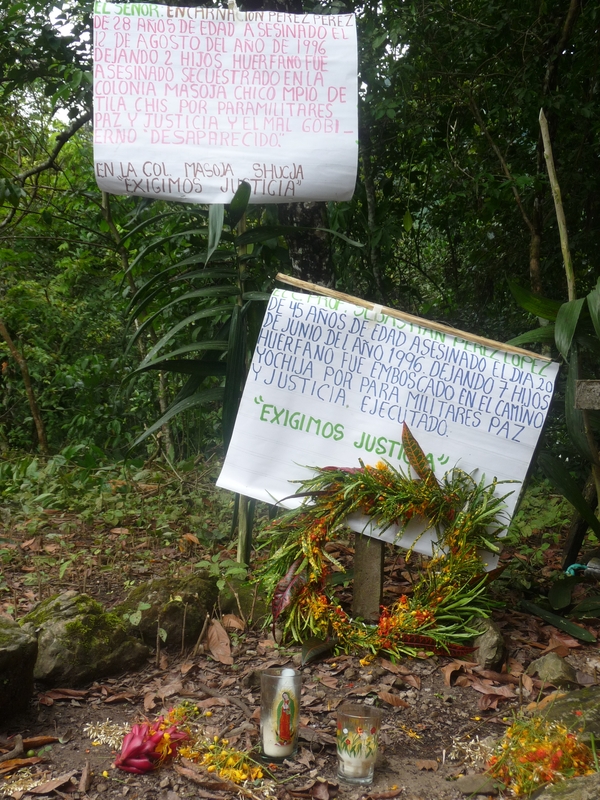 As was claimed in a poster exhibited in the pantheon, “in the community of Masojá Shucjá, municipality of Tila, Chiapas, we demand that the possessions we lost during the time of conflict with Paz y Justicia and the bad government in the year 1996 be compensated”: 424 cattle, 23 horses,a number of farm-birds, and 20 burnt houses. 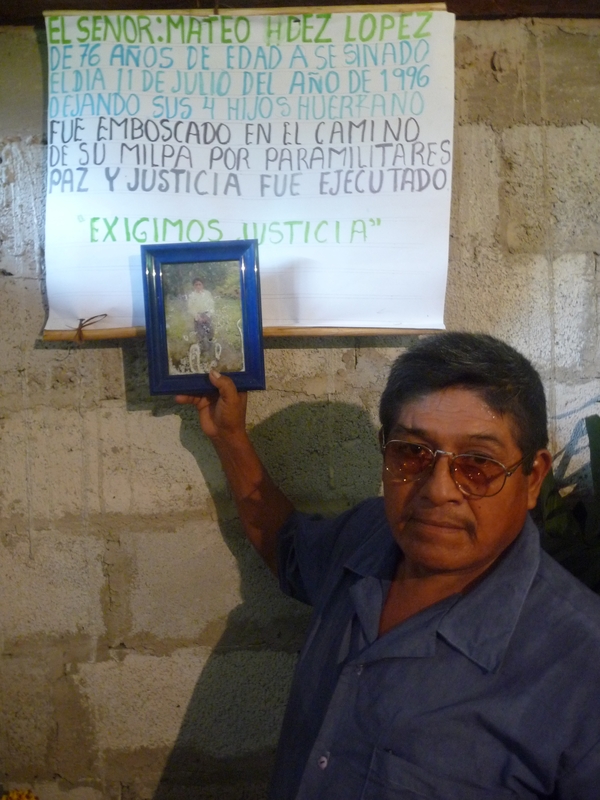 This entry was posted on Thursday, October 7th, 2010 at 10:42 am and is filed under Chiapas, Disappeared, Human Rights, Human Rights Defenders, Indigenous people, Justice system, Paramilitary, SIPAZ activities. You can follow any responses to this entry through the RSS 2.0 feed. You can leave a response, or trackback from your own site.